« The Brothers-in-Law ride again! 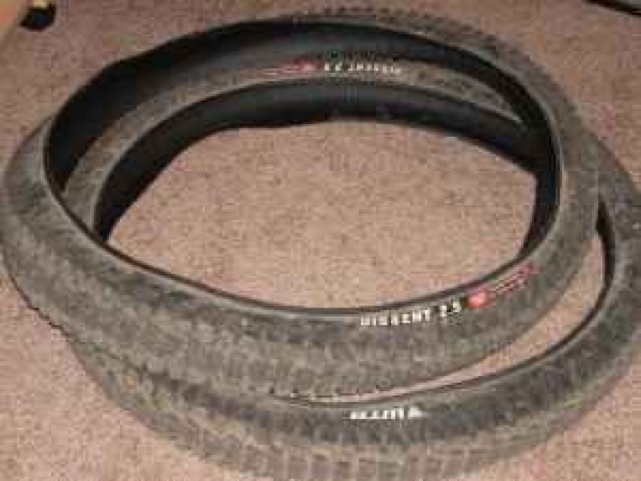 I found a killer deal on a set of WTB Dissent 2.5 tires that I couldn’t pass up on. 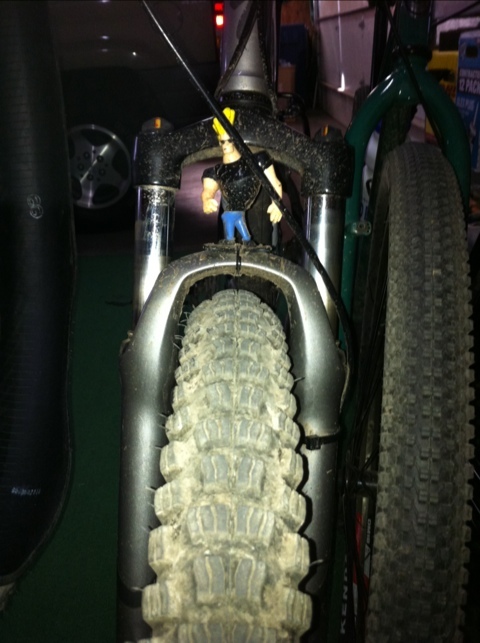 Yes, they are HUGE “downhill” tires. The MSRP on them are $55, and the kid selling them was only asking $25. They are the “old” tread design, which didn’t get great reviews, but then again, the stock tires that I have been riding on didn’t either! 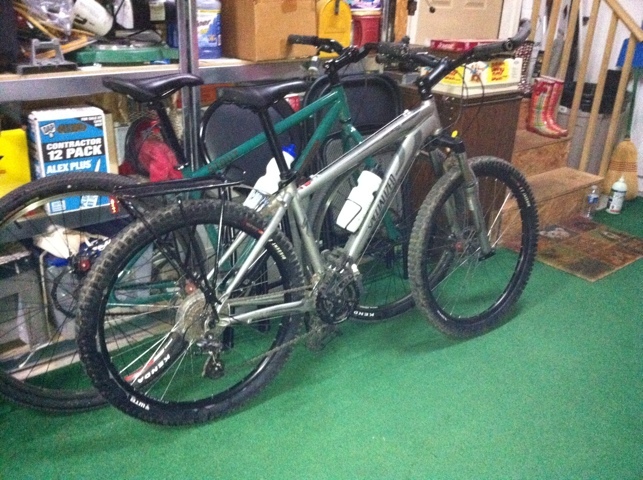 Brought them home today, and this evening, I did the “Hillbilly Tubeless” treatment to the Specialized, and threw them on there. Took it for a test spin down to the end of the street and did notice some different ride characteristics, on the pavement. Looking forward to hitting the trail with them! This entry was posted on Friday, November 26th, 2010 at 10:29 pm	and is filed under Bret's Posts. You can follow any responses to this entry through the RSS 2.0 feed. You can leave a response, or trackback from your own site.